At Emergency Plumbers Dublin we have over 30 years experience in everything you could possibly require when it comes to Bathroom Plumbing. If you have an emergency problem with a bath, toilet, sink or shower, we are on call 24/7-365 to help you. 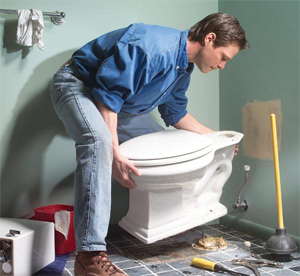 We can have a plumber out to your home or business within an hour if necessary. If you require a full Bathroom renovation, we would be happy to provide you with a free no obligation quote, or maybe you would like a new sink, toilet, bath or shower fitted. It does not matter whether it’s a leaky tap or a blocked sink, for our team no job is too big or too small. If you would like advice on any problems or improvement ideas you may have in regards to your Bathroom refurbishment including: sinks, toilets, baths, showers or a wet room installation: Please call one of our experts on 01-6874850, we would be delighted to talk to you. Our experts offer free advice, free call outs and free no obligation quotes.